If you aren’t aware, the hot new trend is to try driving in traffic while blindfolded. Inspired by the Netflix movie Bird Box (in which a blindfolded Sandra Bullock walks around trying not to see a scary monster), the Bird Box Challenge falls somewhere between a marketing meme and the knockout game. And according to police in Layton City in the US state of Utah, the stunt resulted in a pretty nasty accident earlier this week. Lieutenant Travis Lyman, a spokesperson for the department, told Gizmodo that a 17-year-old girl tried her luck with the meme on Monday and ended up crashing into another vehicle. He said the girl was driving down Layton Parkway with a 16-year-old passenger when she blindfolded herself by pulling her knit cap down over her eyes. She didn’t last long before drifting into the opposite lane and colliding with a car. 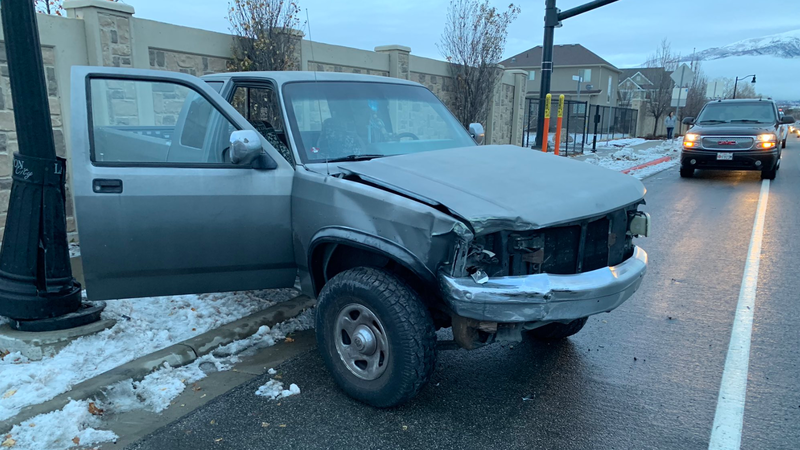 In addition to hitting another vehicle whose driver had not voluntarily entered into the challenge, the teenager’s truck also spun into a sound wall and a light post. Miraculously, no one was injured. Lyman said reckless driving charges against the teen were being considered. The Bird Box Challenge wallowed somewhere in between being not-a-meme and a meme-in-embryonic-state earlier this month when Netflix tweeted a warning to its users not to engage in this dangerous activity. As thousands of retweets posted to Twitter timelines across the country, the media took notice. The New York Times has done two posts about it. “Have you tried it yourself,” The Times asked. “Would you?” The challenge reached its mature form of meme when YouTuber and professional brain genius Jake Paul posted a video of himself trying it for his young, impressionable audience. And here I am furthering the meme’s spread for a world too dumb to know any better.